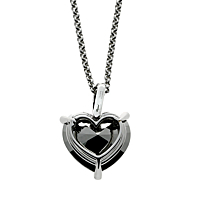 An elegant and understated golden diamond white gold necklace from Chopard. 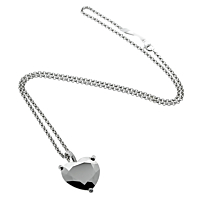 A modern, faceted chrome treated heart rests elegantly atop an 18kt white gold frame. Adorned with three round brilliant diamonds, the pendant is embellished with a diamond encrusted loop on a heavier white gold link chain.